Reading progress update: I've read 202 out of 323 pages. I think I'm gonna start posting my updates the day after rather than the night of. Since I do most of my reading right before I fall asleep, it's kind of annoying pulling out my laptop and logging in here just to update my page count. 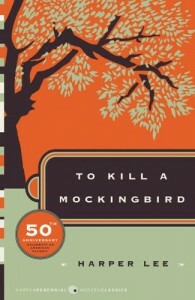 Anyway, I continued on with To Kill a Mockingbird last night. The story is picking up and I am enjoying it, but I find overall the book has been pretty slow. I don't mind slow-paced reads, but I think right now I'm just not in the mood for it. I'm hoping to finish up the book tonight, but we'll see what happens.